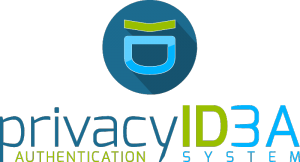 For our enterprise customers we provide the possibility to test privacyIDEA in your own instance. To do so NetKnights provides a personal privacyIDEA testing instance on our NetKnights machines. There is no need for you to bother with installation and setup. You will get the administrative account. You will receive an email with the login information and can start right away. Within your own privacyIDEA instance you can create users and enroll tokens. You can test the selfservice capabilities and take a look a the policies and the event handler framework. You may test privacyIDEA fully for 30 days. Please fill in the below request form. The is an offer for business customers. Please understand, that we will have to ask you for your valid email address and your company name. Your name (required) - no GMail addresses! Your PGP fingerprint (Key publically available). This way we can send you the login credentials in an encrypted email. In 2016 privacyIDEA won the Thomas-Krenn-Award and the Open-Source-Business-Award. 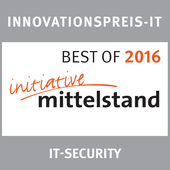 privacyIDEA was awarded with the certificate BEST OF 2016 by the German Innovation price IT 2016.
privacyIDEA is certified for the Univention Corporate Server and available in the Univention App Center .